Summer heat means adjusting your makeup application. Warmer weather calls for waterproof formulas, lighter foundations, and more natural tones. Trying to keep a full coverage, heavy makeup application from melting away in the summer sun can prove to be an uphill battle! If you are looking for some summer makeup tips and tricks, then you’ve come to the right place. I am going to share some ways to keep you looking flawless in the hot summer sun along with some of my fave products! The biggest thing for summer makeup is less is more. If you apply to much makeup and are outside it can begin to cake and we all know that isn’t pretty. These simple summer makeup tips and tricks below can allow you to have flawless looking skin this summer! Primer is key for keeping your makeup in place as the day goes on. It is basically the glue to hold your makeup in place, minimize pores, and give you that flawless look. I have tried a lot of primers and love the L’Oreal Paris Magic Lumi Light Infusing Primer. If you don’t use a moisturizer or BB Cream with SPF, look for a primer that has SPF to give your face extra protection from the summer sun. This is a great option for a foundation that is very light, and great at hiding small blemishes. It isn’t full coverage so you can’t expect that, but it will allow you to have some makeup on, to give you that smooth glow! I personally have too many scars from hormonal acne that I am self-conscious about, but before my face when psycho I loved the Marcelle BB Creams. If you need fuller coverage try finding lighter foundations. They won’t feel so heavy on the skin and will still offer fuller coverage than a BB Cream while holding up better in summer heat. Bronzer can add a lot of warmth to your face, and give it dimension. Apply bronzer to the high points of your face, where the sun naturally hits. Think cheekbones, chin, forehead, and you can add a little to your nose. If you need help, check out YouTube you can find so many tutorials! By applying bronzer it can give you a summer glow instantly, and really help hide the fact that you are not wearing a lot of makeup! 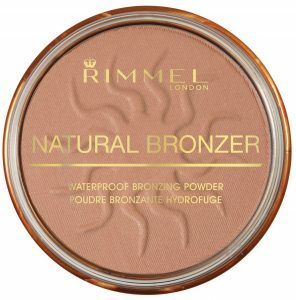 One of my favourite bronzers is the Rimmel London Natural Bronzer Waterproof Bronzing Powder. It lasts forever and gives my face a beautiful glow! Consider opting for a waterproof mascara in the summer. Especially if you are planning a trip to the beach or lake, nothing is worse than getting out of water with raccoon eyes! Wearing a waterproof mascara will also help it from smudging if it is an extremely hot day! Two of my favourite waterproof mascaras to use when I don’t have eyelash extensions on are Maybelline Volum’ Express The Colossal Big Shot and Maybelline Volum’ Express Colossal. If you are interested in eyelash extensions and live in the GTA or York Region, I highly recommend Hooked On Lashes. She does my ellipse lashes for my vacations, events, and all my Marilyn Denis show appearances. You want to skip the eye creams in summer, they can smear and get cakey in the heat of the summer. Try an eye primer and use minimal eye shadow. I am loving the Maybelline pallets lately. 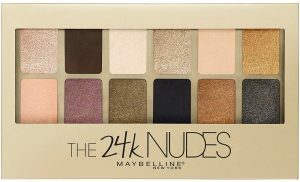 The Maybelline 24k Nudes pallet has everything you need for both day and night looks. I also love the Maybelline The Blushed Nudes pallet too! 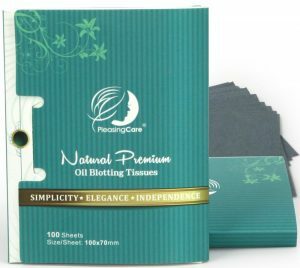 Make sure to pick up a packet of blotting papers, they are great for picking up excess oil on your skin. They are thin like a tissue, and you blot your face to remove oils that are causing your face to be shiny. I am in love with all things charcoal, the benefits are amazing. I have been using Natural Bamboo Charcoal Oil Absorbing Tissues and they are amazing! If you are in a bind, head to the bathroom and blot with toilet paper. When you get a little warm, you face can get shiny on its own. So maybe skip the highlighter, or at least use it very lightly. You could look a bit extreme if you highlight heavily, and then get sweaty on top of it. 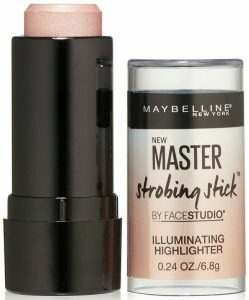 If you don’t tend to get shiny or control your shine with blotting papers one of my fave highlighters is the Maybelline Master Strobing Stick Illuminating Highlighter. For daytime looks in the summer you want to go for light coloured lips, nothing dark. Although I have not personally tried them, lip stains are really popular right now. I like to use a tinted lip product, the Burt’s Bees natural moisturizing tinted lip oil is one of my faves. Just think light and fresh, and you will be good to go. Powder blushes do tend to fade and break down with oil and sweat. Opt for a cheek tint to apply, they stand up to heat much better. Shoppers Drug Mart has a good selection of cheek tints to choose from. 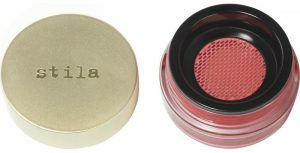 Three that I recommend are; Stila Aqua Glow Watercolour Blush, Guerlain Lipcheek, and Benefit Cosmetics Posietint. 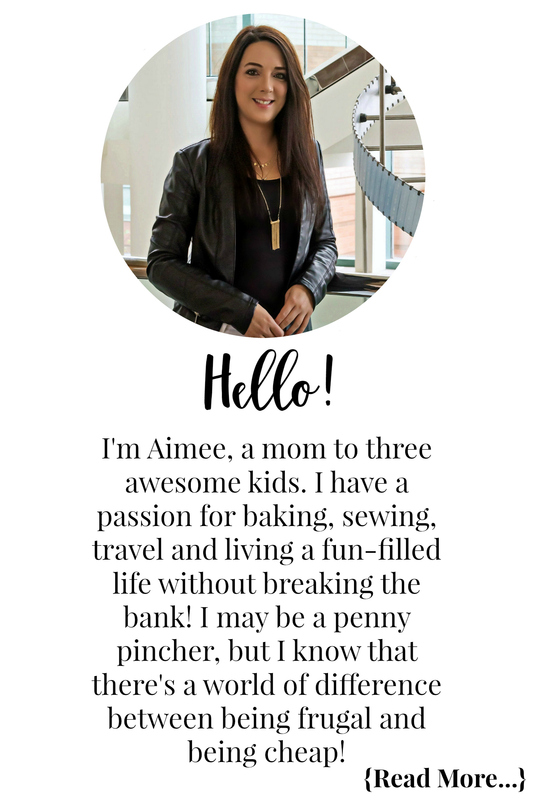 Last but not least, a little bonus tip! With the summer heat you tend to sweat more which can cause outbreaks. Be sure to cleanse your skin every morning and night to avoid unwanted breakouts. Dealing with some pretty bad hormonal acne myself, I have found Garnier Micellar Water to work wonders getting off my makeup. I have pretty sensitive skin and many cleansing products cause me to break out, Garnier Micellar Water does not. When I have the time I love making my own DIY makeup remover and facial cleanser! Lastly, a facial mask can really help to keep your skin in check. My DIY charcoal wash off face mask is a must. What are your go-to products to get a beautiful summer makeup look? Let me know in the comment section below! I personally don’t wear any because it gets smudgy with the heat, but if you can find a good waterproof eyeliner give that a try! I love those nudes palettes by Maybelline too! It’s so hard to find makeup that doesn’t smear or just wear off in the heat or from sweating. If these products stand up to the heat and sweat then that would be amazing.